After I wrote about the origin and evolution of Everyday Reading a few weeks ago, I got lots of questions about the nitty-gritty of blogging. How much time does it take, how in the world do you make money blogging what does a post look like from start to finish? I love a good peek behind the curtain as much as the next person, so if you’re wondering what goes into running my blog, what my process looks like and how I make money blogging, here are all the answers! How many hours per week do you spend on your blog? I think one of the things that surprises people the most is how much time goes into running a blog. I have a babysitter that comes for two hours three mornings a week, which gives me six hours. My awesome photographer, Christie, comes over usually one morning a week (or every two weeks) for about an hour and we shoot photos for the next week or two. I work for two hours every afternoon while the girls nap or do quiet time until it’s time for school pick up, which equals out to about another 10 hours a week. I also usually do at least another hour a day of bits of time here and there or after the girls go to bed. So it ends up being around 20-25 hours a week. What goes into planning a post (how far in advance do you plan things)? In an ideal world, I’d be working a week ahead at all times, and preferably more like two weeks ahead. But in the real world, I’m often only a single day ahead, writing tomorrow’s post in the afternoon before it goes up early the next morning. I have a massive list of posts I’m planning to write, so I don’t ever feel like I’m short on ideas, and I usually go through and list what posts I’m planning to post on each day for the coming month, but I don’t always get around to writing them and schedule them until just a day or two before they go live. If it’s a sponsored post, those often require review by the brand beforehand, so they might need to be submitted a week or two before they actually go up on my blog. I also have posts that take a lot of planning and work, like my library stressors series I did which I worked on for several weeks before the first one went live, but then the rest of them were all ready to go spaced out over several weeks and just waiting to go live. Do you have a set blogging routine? 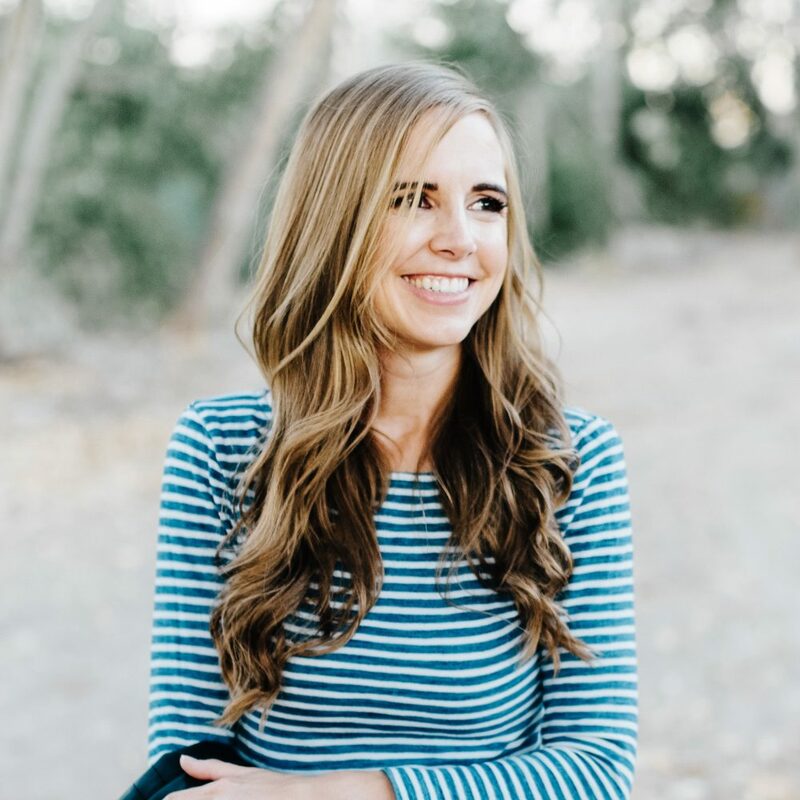 I generally start a blog post with the photos – I look at what’s coming up and when I get together with Christie, she shoots and edits the photos for those posts. If I’m taking the photos myself, I generally don’t take and edit those until after the post is ready to go. If it’s a book collage image, I have my assistant put that together after the book list is finished. Then I sit down to write the post. Most posts take me about an hour to write the actual post. Some just come flowing out (when I did this post about Decorist, Bart was out of town and I couldn’t sleep, so I got up and pounded that post out in about 40 minutes even though it was super long) and others take me a while to figure out how I want to approach the topic. I think about my blog ALL THE TIME, so I’m always tossing around posts in my mind while I drive, shower or cook, which usually makes it pretty quick to actually write them. Once the actual post is done, I go back and add any links needed (or if it’s a book list, I have my assistant add in all the links), add the photos in, add search engine optimization data to the post so that Google can pull it up easily, and then finally schedule it so it can go live on the correct day. How do you get your inspiration for topics? I feel like I’ll always have things to write about because I’m always reading new books to share. I also have never-ending questions in response to my Raising Readers course, which is a steady stream of new post ideas, plus I’m always getting new questions on Instagram either in the comments of my photos or by Direct Message. Plus, after blogging for more than a decade, my brain just basically thinks in blog posts, so I’m always jotting down an idea for a new blog post and that list is getting longer faster than I can publish those posts. How do you design, outlining, and schedule your posts? I have a paper desk calendar that I use to keep track of my posts so I can see the whole month at a glance and see what’s coming up. I pencil in my blog posts so that I can erase and move things around as needed, and then I use a colored pen to write in due dates for freelance projects or anything else that has a hard deadline. I move posts around ALL the time as a new sponsored project comes up or I didn’t get around to photographing a recipe as quickly as I thought I would. My basic outline on a weekly basis is to have two book posts a week (usually one of those is a book list or a book review and one is more about reading in general, whether that’s about using the library, listening to audioboks, a Tell Me What to Read post, etc), a food/recipe post, a house or vacation post, and a family life/parenting post. That doesn’t always happen, but it gives me a framework to think about my upcoming posts. I’m so curious how to make money blogging! I have three main ways that I make money blogging through for Everyday Reading. The first source of revenue is ads – those ones in the sidebar or header or footer. I work with an ad agency and they manage all of that. Usually, you’ll see ads based on what you’ve been looking at elsewhere on the Internet, whether that’s a pair of shoes or a trip or a book, so every person sees different ads when they’re on my blog. The second way to make money blogging is through affiliate links. If I link to a product on Amazon or Nordstrom or Target (or hundreds of other stores) and you click through that link and buy something, I’ll get a tiny kickback. Most of the links on my blog are affiliate links. The third is through sponsored content. I contract with a brand to write a blog post or share an Instagram photo about a product or service and they pay me a flat rate. I am very serious about always disclosing when something is a sponsored post (it will always say at the top of a sponsored post that it’s a paid partnership or a sponsored post) and an Instagram post or Facebook update will always have an #ad or #sponsored hashtag. I take my sponsored content really seriously and try to always provide really useful or interesting content that will be appealing to my audience even if you have zero interest in the brand I’m working with (you can be the judge of how successful I am there), and I also do my very best to provide top-notch work for the brands I partner with. I say no to the majority of sponsored post opportunities (probably 80-90%) and only accept ones that are brands I already know and love or are new products that I think will be relevant and interesting to you guys or are a natural fit with my content (when the Mo Willems team came knocking about working together? It took half a second to say yes). 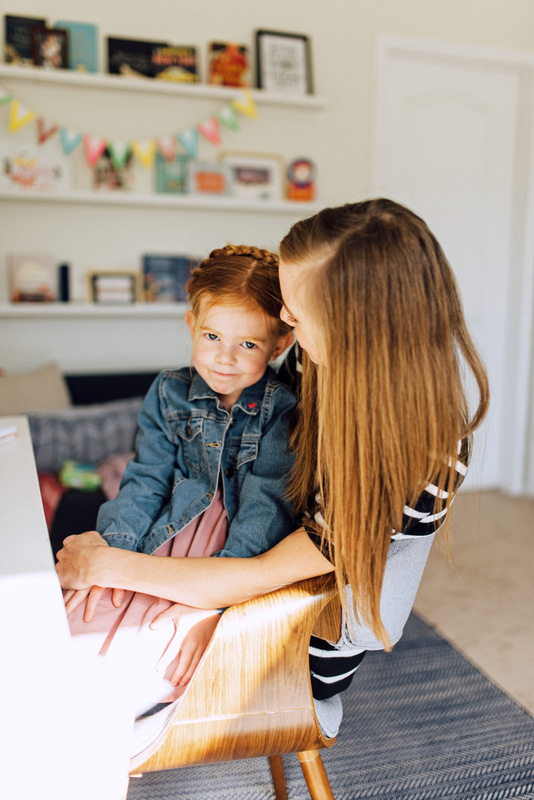 Some of my very favorite posts I’ve ever written are sponsored posts, like this one about how dads can encourage reading or this one with Audible about my favorite book-to-movie adaptations (the comments were SO fun!) this one about an easy, high-paying way to recycle your devices which I got a million messages about saying that people had used it and loved it and gotten more money than they would have elsewhere, which made me feel really happy. (If you’re looking for more details about how sponsored posts work, my dear friend Miranda wrote a really thorough and fantastic post about sponsored content that was super fascinating, including a lot of questions she got from her readers). I also make money blogging (not on my own blog) as a contributor to other sites, and I wrote a whole post about landing and keeping a contributor gig a couple of years ago. What skills did you have to develop to make your blog a success? When I started blogging, it was basically just write a post and push publish. Now blogs are a lot more involved than that. I started having to learn how to take decent photos (I’ve come a long way since these days, where someone commented saying “this looks like throw-up” and they were 100% right – I couldn’t even be offended! ), first for my blog and then later on as Instagram came on the scene. I’ve had to learn how to interact with readers on my blog and on social media platforms. I’ve learned how to make fun little videos, from shooting videos through the whole editing process. 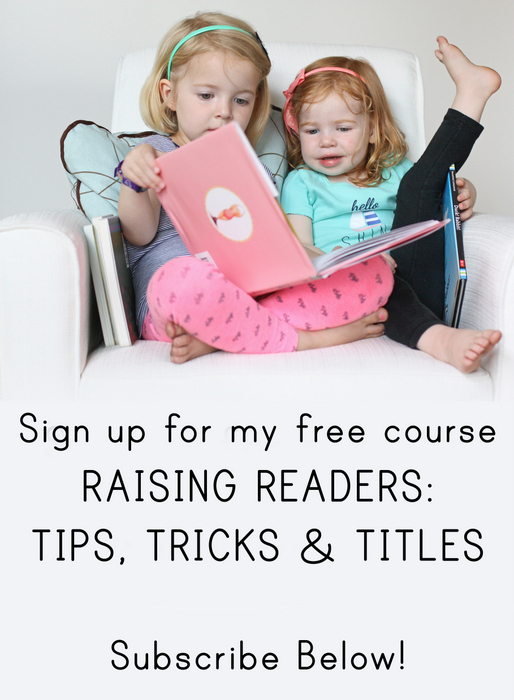 This past year, my big focus was figuring out how to use email and launching my Raising Readers email course and my twice-weekly book emails (you can sign up for Raising Readers here and the book emails here). Right now I’m working on learning Search Engine Optimization so that my blog ranks higher on Google or other search engines and that when you search for something that I’ve answered in a post, my blog actually pops up in the results. One of the things I always say about blogging is that I LOVE that it’s always pushing me to learn new skills and try new techniques. It never gets boring for me because it’s never the same thing. New things get added, like Instagram stories, and other platforms, like Facebook, keep changing their algorithms, so it’s always an interesting challenge to figure out how to use them well. How do you keep yourself from feeling overwhelmed by all of the things you “should do” in blogging? One good thing about blogging is that it isn’t curing cancer or solving world hunger (unless your blog is about curing cancer or solving world hunger). I have high hopes that my blog is really helpful and useful to parents, whether that’s giving them new ideas about how to help their children love reading, find the right books, test out audiobooks or implement a new routine at home or just suggest a good pair of jeans, but I also recognize that if I don’t post for a day or two or ten, nobody is going to die (they probably won’t even notice). I also try to keep in mind what’s most important as far as my blog goes. A blog post 4-5 days a week is my first priority. After that, my freelance projects are my next priority, followed by my emails, and then social media (Instagram first, Facebook next, Pinterest after that, and Twitter at the bottom). Then I allocate other time to bigger projects (like launching Raising Readers last year, my book quote project this year and a new project I’m hoping to launch in May) and learning new skills like video or search engine optimization. There are endless things I COULD be doing and I know I can’t do them all, so I focus on what I know is most important for my blog and then try to prioritize what I’m not doing that would add the most value to my blog. How you manage your work life balance? This could really be a whole post on its own, but like basically everyone else, it’s a work in progress on a daily basis, and I would never want anyone to think that I have it nailed. Some days, I’m awesome. More often, I’m struggling to put down my phone or finish my work before I need to pick the girls up from school or to not zone out during dinner thinking about what work I need to do once they’re in bed. Having a babysitter come those three mornings really helps my stress level because I know I have dedicated time to get things done, so I don’t feel as pressured to try to squeeze in extra work. My phone, of course, is the biggest temptation, so I’m trying to be better about keeping it in my room during the day so it’s not so easily accessible or leaving it in the car when I’m at the playground with my girls. But it’s just very hard to separate when your work is in large part about your life. And when you love your work so much that you WANT to spend lots of your life doing it. Do random people say hi in public? Not often, but occasionally! Everyone I’ve ever met like this has been super nice and although I’m naturally pretty reserved around people I don’t know, I really try hard to be very friendly because I so appreciate every person that reads my blog and that would make an effort to say hi. Sometimes people leave a comment saying, “I’d be so awkward if I ever saw you in person” but I 100% guarantee that I’ll be more the awkward one. And I’ll totally think you’re the best for saying hi. I’ve also felt those feelings myself dozens of times when I meet a blogger at a conference that I know super well from their blog and they have zero idea who I am. Any other questions I didn’t answer? Let me know in the comments! This post was so interesting, thank you! So much goes into what you do and we all really appreciate it. I was wondering how your London Littles business is going? I just wanted to take a moment to say I’m so happy you blog; I pretty much only check your blog for book ideas for my kids (I have 5, we read a lot!) and before finding your blog I always felt I couldn’t find enough quality literature for them, so thanks for what you do! I find this ALL so interesting! And makes me feel better that I don’t churn out near the content as you on only a few hours a week! You’re doing a fantastic job with it all. I really enjoy reading your blog. Thank you so much! This is really nice of you. You are like top 3 in people who I think do sponsored posts the most authentically/applicable/enjoyable to read. You’re awesome! This is THE nicest thing – thank you so so much! This post was incredibly helpful! I just dove into the blogging world this month so this answered a lot of questions I have. Thanks so much for sharing! In regards to the photographer who takes pictures for you… Do you pay her? I’m realizing I’m going to need to get more pictures of myself. It feels really self-indulgent and vain to me, even though I don’t think that about other bloggers AT ALL. I’ve just been wondering a. How to get more pictures of myself and b. How not to feel awkward about it. I’m so happy it was useful! Yes, I do pay my photographer – we do a flat rate per blog post and we usually do 3-4 blog posts worth of images every week or two, depending on what I have coming up. It’s a lot less than she’d charge for a regular session because it’s at non-peak times (e.g. not evenings or weekends when she does weddings, families, senior portraits, etc) and because it’s a regular gig. I’m a huge fan and this was such an interesting post about all that goes into making your blog. Thanks for doing what you do! This is so helpful! Thanks for the great info!